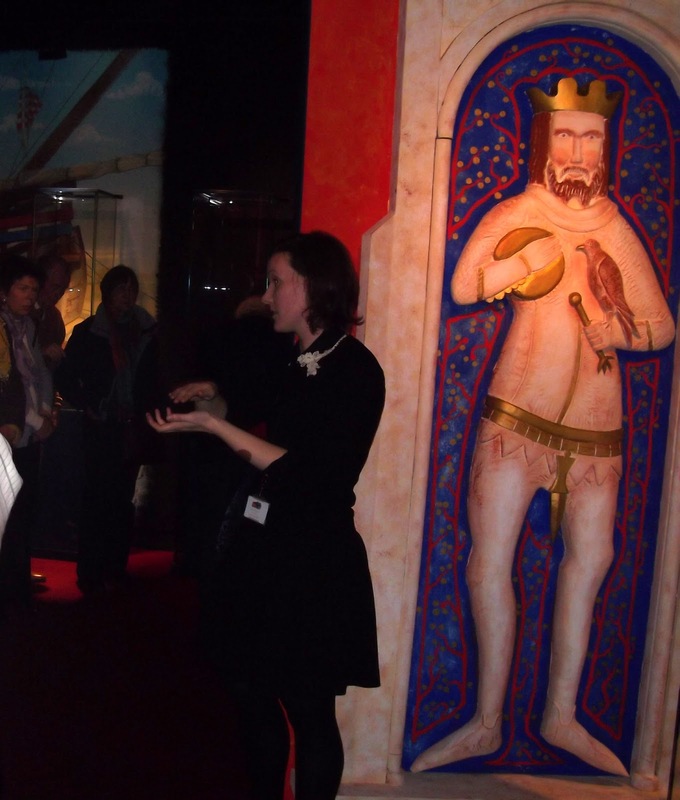 On Friday 25th January, despite the blustery and very wet conditions, members made their way to the Medieval Museum for the first event of the year. We were met by Donnchadh Ó Ceallacháin and Annie Birney who guided us through the stairs and corridors... and through time. 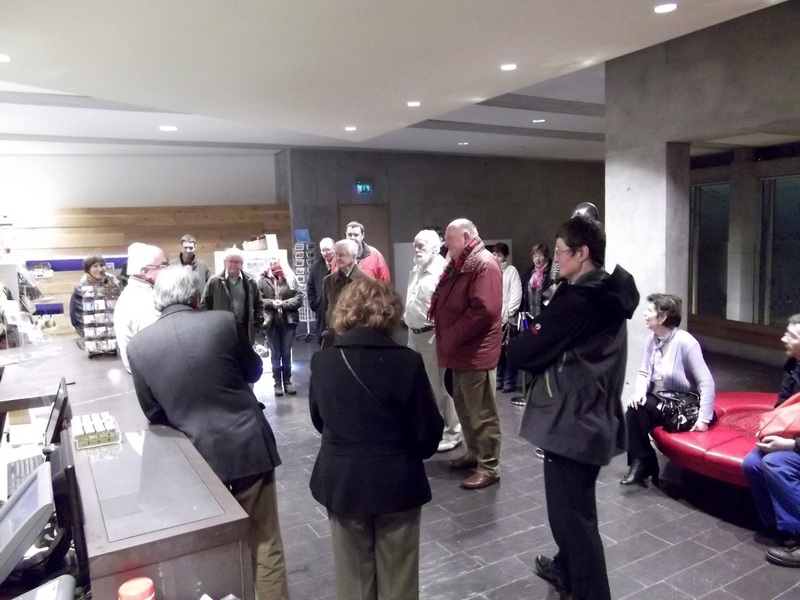 Members meet in the reception hall of the museum. Donnchadh explained how the museum came to be, and what the construction involved, from the archaeological testing to the final project. 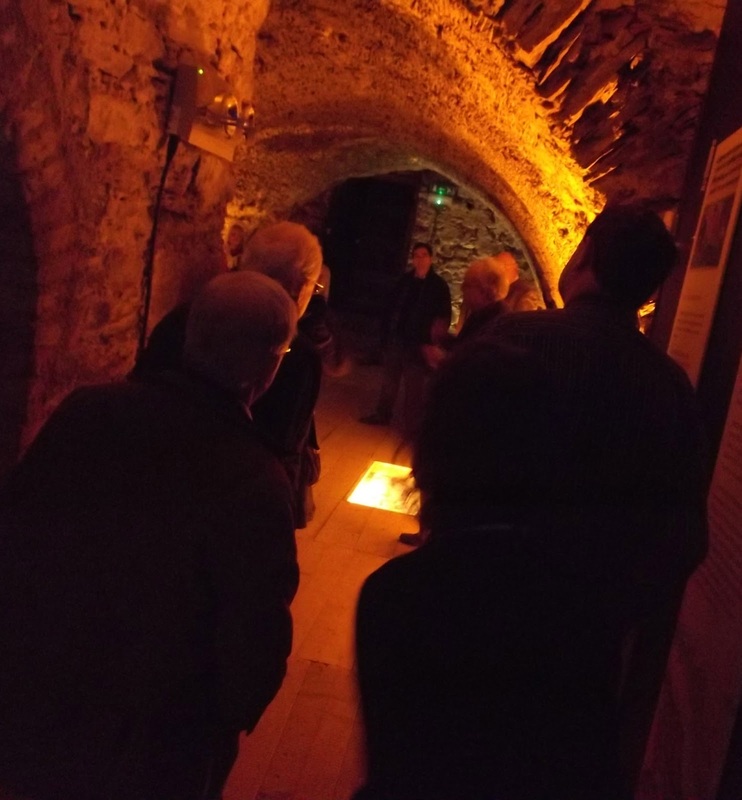 We then started down the stairs to the undercroft - The Choristers' Hall and the Mayor's Wine Vault. Between the Chorister's Hall and the Wine Vault... a narrow passage. Then to the top floor, where the political and commercial life of the city were explained, as well as everyday life in medieval Waterford, what the city looked like, thanks to models, what people wore, what objects they used, and some aspects of crime and punishment. 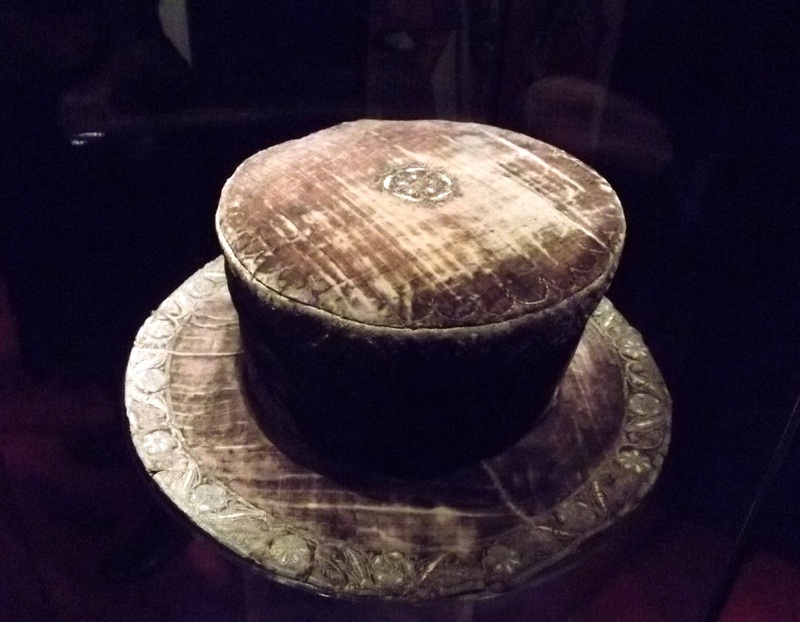 Also on display is Henry VIII's hat, or Cap of Maintenance. 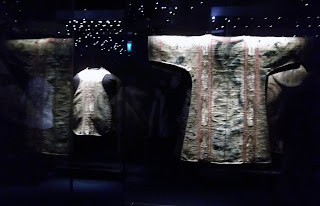 Annie Birney explained the origins of the pottery on display and told us about the fashion of the time. 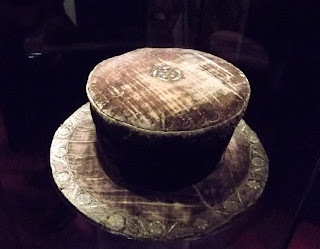 All this knowledge is based on artifacts, but also on the entries in the Great Parchment Book. 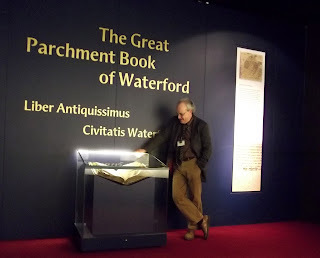 The room where the book is displayed is dedicated to the memory of Dr. Niall Byrne,who transcribed the Great Parchment Book, and was a former Chairman of WAHS. 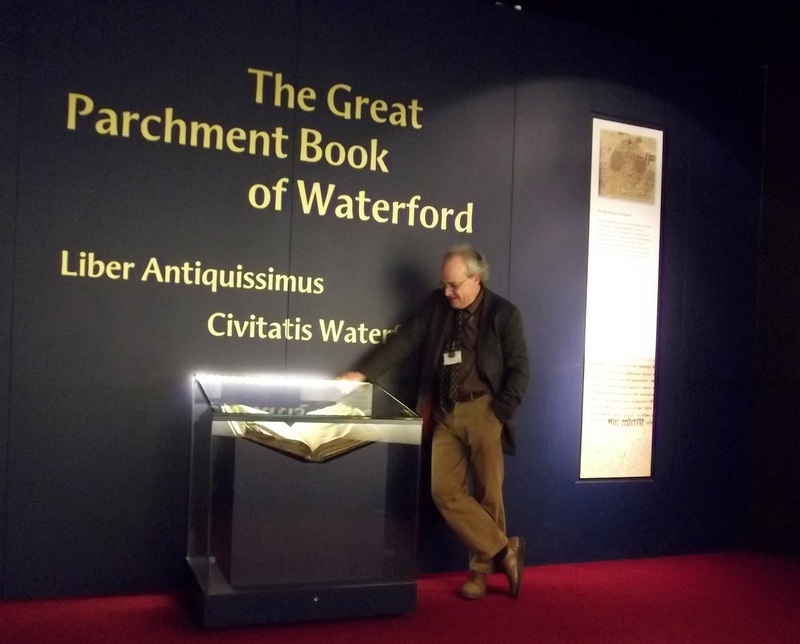 Donnchadh Ó Ceallacháin explaining the importance of the book. After that, we were brought to the first floor, dedicated to the religious aspect of medieval life. Many statues discovered in the city are displayed, as well as other objects linked to religious life. The highlight of course were the gold cloth vestments, and the story of their (re)discovery.